When Adam Tenenbaum hung a few chandeliers from a tree in the front yard of his Los Angeles home, he worried about how people would react. 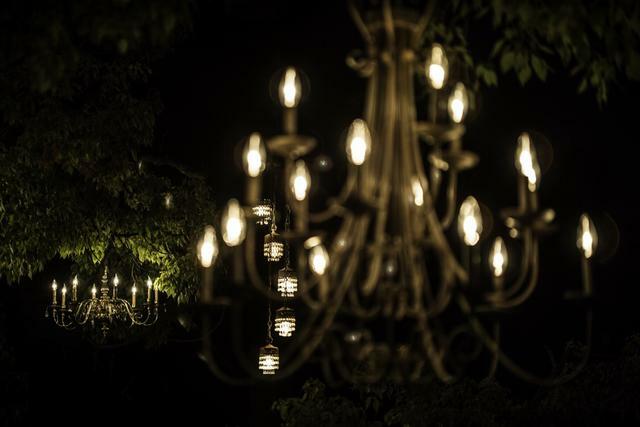 Eleven years and 31 additional chandeliers later, the so-called Chandelier Tree is a full-fledged Los Angeles landmark, cherished by his neighbors in the Silver Lake area as well as visitors who travel from all over the region to see the elegant old sycamore that twinkles in the night. The project began on a lark. Tenenbaum, who is a working artist, came home from a job with three unwanted chandeliers and wondered how they might look in the tree. Things escalated from there. With the help of his aerialist roommate, Tenenbaum rigged up electricity, added dimmers, and over time hoisted up more and more chandeliers. They came from swap meets, Craigslist, and even strangers who left them anonymously on Tenenbaum’s doorstep. A 1970s parking meter was repurposed as a donation box to help with the cost of powering the lamps, estimated at around $200 a month. 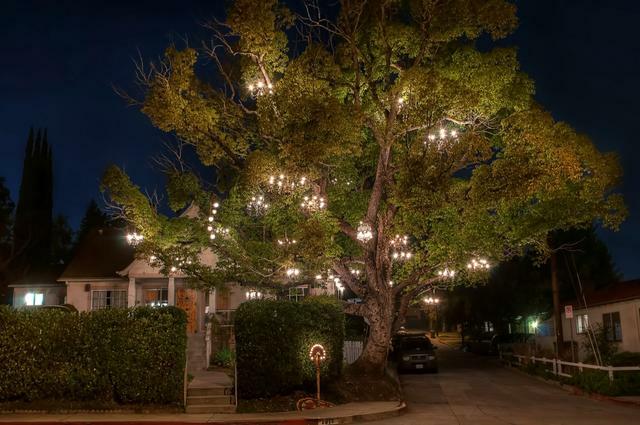 Neighbors in Silver Lake, known as a magnet for creative types, fell in love with the tree, at times texting Tenenbaum to remind him to flip on the lights. Kids at a nearby school drew a treasure map showing how to get there. According to Tenenbaum, the century-old tree also become “an accidental romantic thing,” drawing couples who came for first dates, wedding shoots, and even the exchanging of marriage vows. Nikola Milansson Remic planned for three months to pop the question to his girlfriend, Tinna Andersson. He brought her to the Chandelier Tree a couple weeks ago and surprised her, getting down on one knee under the soft glow. The answer was yes. “It was perfect,” Andersson said later. 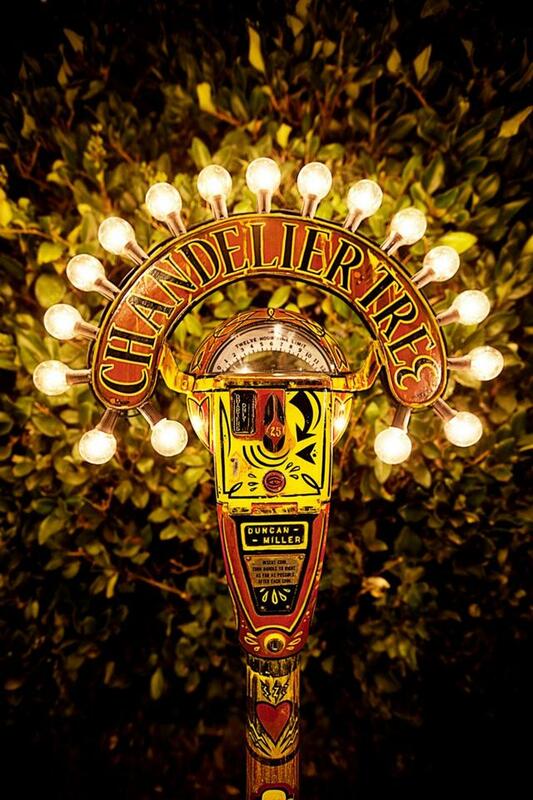 Adam Tenenbaum collected the chandeliers one by one. See more images and a short documentary video on the Chandelier Tree below. A parking meter was repurposed as a donation box to help with the electricity bill.